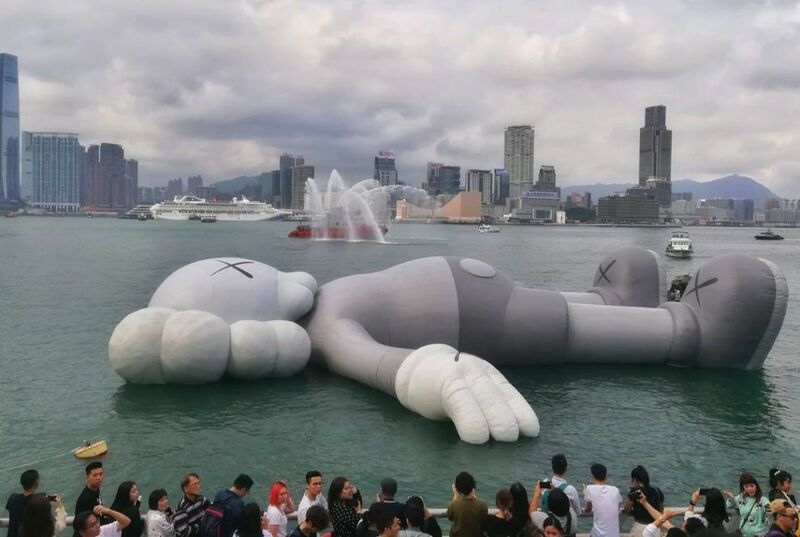 A massive inflatable floating sculpture reminiscent of Mickey Mouse was towed into Hong Kong’s Victoria Harbour on Friday, as a crowd of curious locals looked on. The 37-metre (121-foot) piece called KAWS:HOLIDAY — about the length of three double-decker buses — is the work of American artist KAWS, who is known for his whimsical characters which have Xs for eyes. Tugboats towed the macabre grey figure — a character named COMPANION, floating on its back — into the harbour and stationed it off Hong Kong’s busy Central district. Part of an art festival in the city, it will remain there until the end of the month. KAWS, whose real name is Brian Donnelly, said he hopes his work will help people to relax. 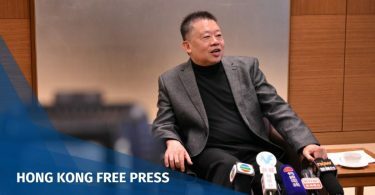 “Hong Kong’s such a busy city… I thought it would be a good juxtaposition to have a work like this just floating in Victoria Harbour,” he told reporters. Locals and visitors, some wearing t-shirts designed by KAWS, took photos and looked on excitedly as the sculpture was brought to its display site. The figure has been compared to a huge floating yellow duck that was displayed in the Hong Kong harbour in 2013. That work — smaller than the KAWS piece — by Dutch artist Florentijn Hofman was hugely popular, inspiring special duck dishes in restaurants and even copies in several Chinese cities. “The yellow duck is more attractive, more lively,” said Fung Foon-yung, 67. “I don’t know what this one looks like, it’s just lying there,” she added, saying it reminded her of a corpse. 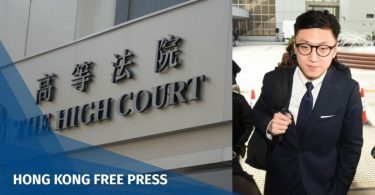 Cheer Chen, 31, a self-described KAWS fan and Sichuan resident, said she came to Hong Kong especially to see the sculpture after missing out on its previous stops in Seoul and Taipei. “Maybe there are some things in the world it doesn’t want to see,” said Hong Kong resident Leung Kin-yee, referring to the figure’s eyes.